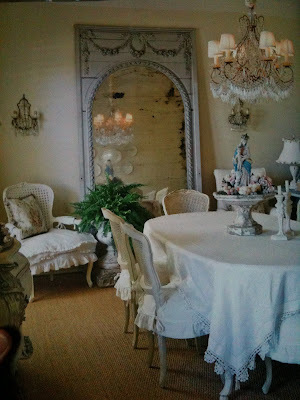 this book is filled with sooo much shabby inspiration! So many gorgeous rooms!! This is a wonderful French dream book! 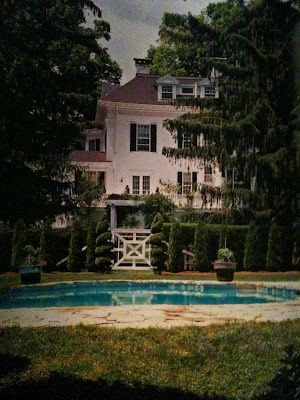 Ms. De Dampierre's home is sooo beautiful- just an absolute dream inside and out! 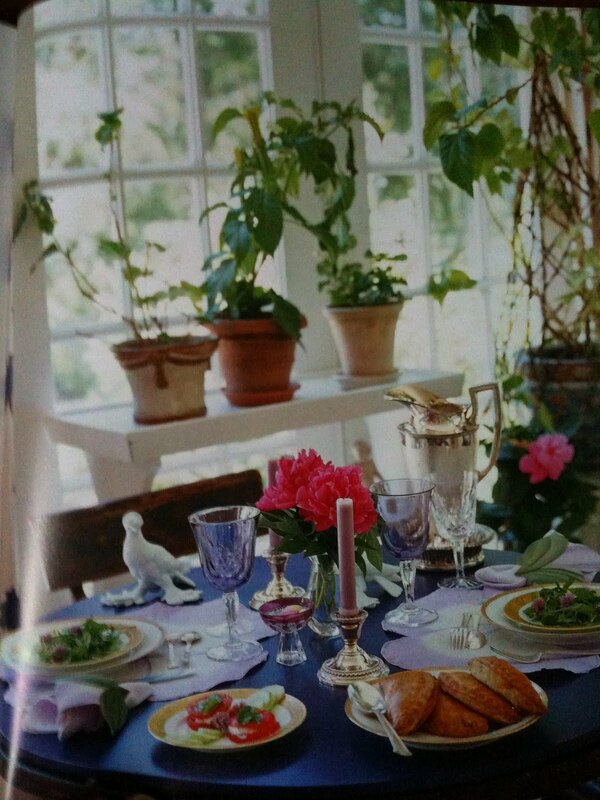 She shares her elegant style- her home, gardens, antiques, recipes and more. This is one of those books you just happen upon but LOVE. 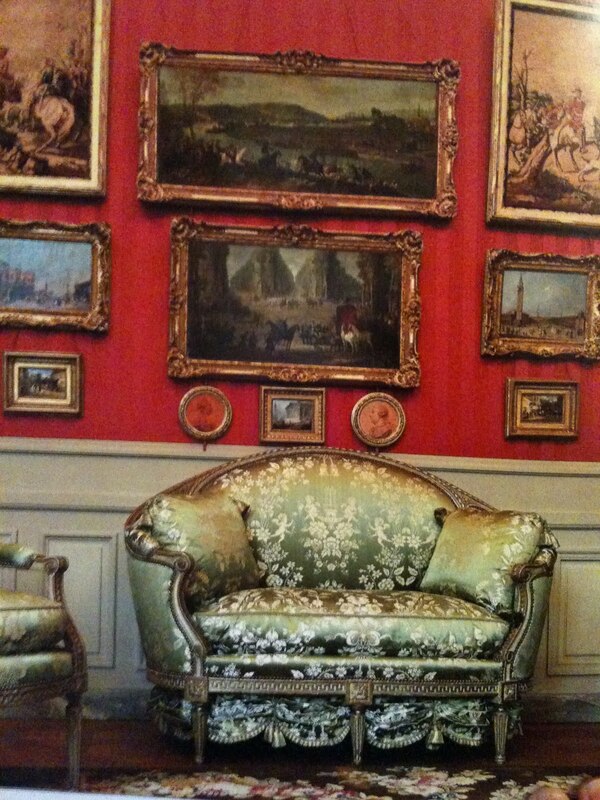 to sooo many rooms and pictures~ I had to bring it home with me. I just love her style and elegance- a wonderful surprise find! they are each so beautiful in their own way! I feel some re-doing coming on! Forever Decorating shared a tour of her beautiful living room. 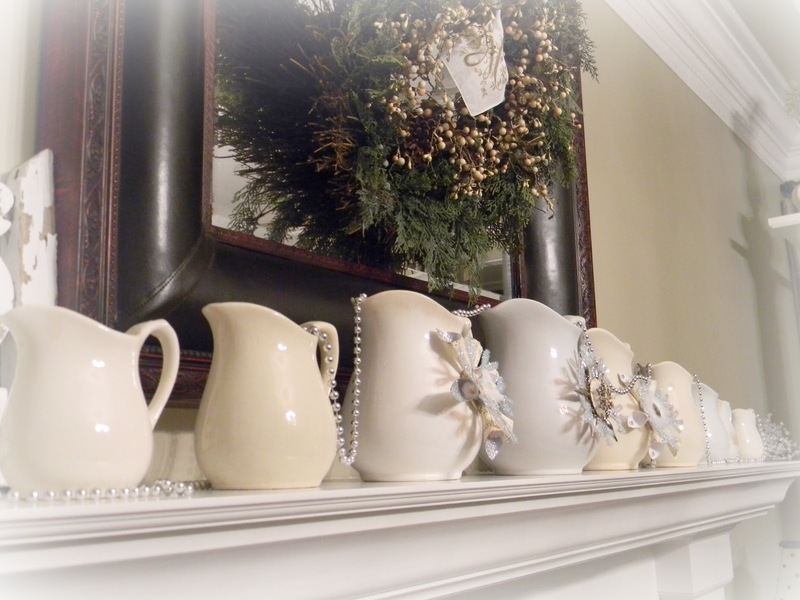 Love the white pitchers on the mantle! and a pretty burlap bow. such a pretty, relaxing space! 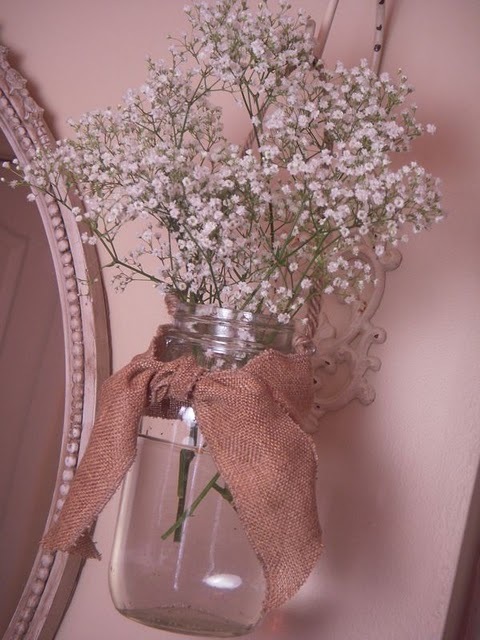 My Hydrangea Home shared the simple beauty of babys breath flowers. I just love design books. I can't get enough of them or magazines either. Maybe that is a great way to spend dreary January! I'm heading to the bookstore. Oh, thanks for posting the books. I see one that I have been looking for and I couldn't find it anywhere around where I live. Very chic! Lots of pretties. I think I'm going to have to splurge and buy at least one of these books, very soon. I think the featured bloggers pics look like they could all go in any of these books. 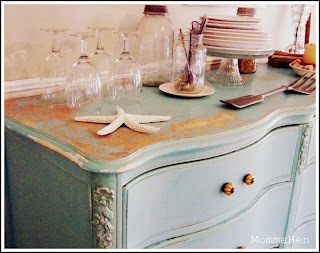 Lots of pretties and inspiration! Hi Courtney, I've already worn out Carolyn Westbrook's new book! Such great decorating, endless inspiration! What lovely images. 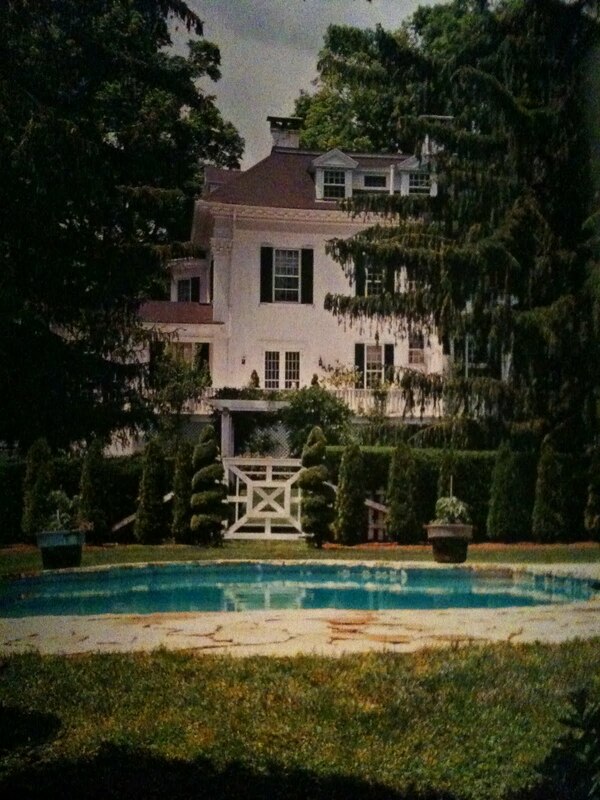 I would be perfectly happy moving into any of those homes! All so pretty! 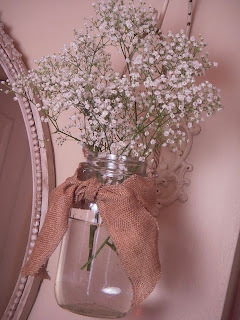 I love how it can all be done with such simple items, doesn't have to cost a fortune to get the look! Courtney, I have the first book and love it. I will need to check out the other two. They look good, too. thanks for hosting! Sounds like a wonderful way to spend some snowy afternoons. Happy reading. Oh those reads looks wonderful!! I never can afford to buy them except if I find them at yard sales or thrift stores- let's hope someone decides to give up these gorgeous books so I can find one! Thank you for the fun party- I am joining this week! Well you just remind me of how much I love looking at French style! I love your choices from last week too! Thanks Courtney! A cup of tea on a cold winters day and a stack of French decorating books. That would be a little slice of heaven for me. Of course in real life my toddler would make me turn Barney on! 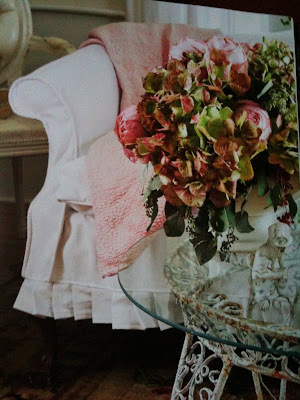 Courtney, I love nothing more than to cozy up with a great decorating book... the first one you featured is on my wish list ;) Enjoy! I love ALL your pictures -- great books! Thanks for hosting! I love The French Inspired Home. Although I got the book in December, I've barely gotten to read it because my mom keeps borrowing it. I have an Amazon gift card left over from Christmas. I may have to use it on one of those other books since I love decorating books! Courtney they are gorgeous looking books. I have been looking for some great ones to display when we get our new furniture. I'm going to order them. I would enjoy them. Love all of those! I'm lucky enough to have seen Carolyn many times at First Monday in Canton, and her booth is always just gorgeous. I'll have to get French Chic too, thank you for the inspiration! Thanks too for hosting, such a lovely event. Courtney! How sweet are you??!! Thanks so much for the feature! What a fun surprise to come over here all ready to link up to your party and see my name pop up in the post. :-) I also think that we are strangely on the same wave length that we both posted pics of inspiring rooms today! I think I'm hearing the Twilight Zone theme song playing in the background. Thank so much for hosting your amazing party every week and for being such a dear friend! 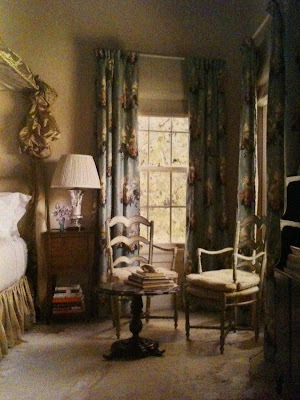 I LOVE Carolyn Westbrook's style! Thanks for sharing these others. I'm going to have to check them out! Thanks again for hosting Courtney. Have you seen Jeanne D'Arc Living magazines? You might pass out. Pure fabulousness. Google it if you get a chance. Have a great weekend! xo Jeanne. What lovely books! They look like dreams to me. 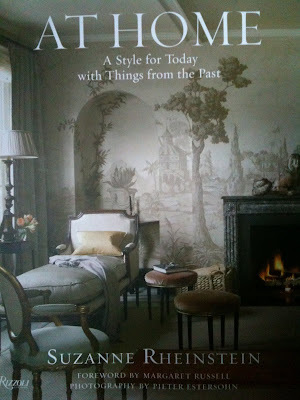 Your new decorating book IS inspiring. I love the photo with the burlap tablecloth. Thanks for sharing and for hosting this fun party. Hey Courtney! Happy New Year! 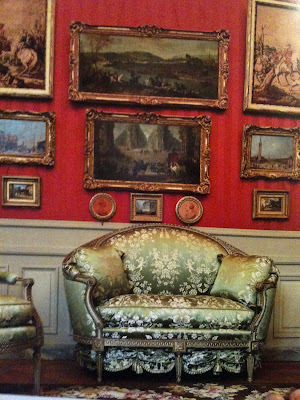 I just got the French Inspired Room and have loved it...so, so pretty!!! I hope you had a wonderful holiday! Happy New Year to you :)!!! Hi Courtney, those photos are so amazing. I'd love to even visit those places. Love the photos that you shared from the books. Thanks for hosting. Love those features Courtney, and DANG!!! I was just at Borders(I live about an hour & a half away from the nearest one)on Sat, wish I'd read this before hand! Oh well, might just have to order myself a Valentine's day present!!! I could look at design books all day long! 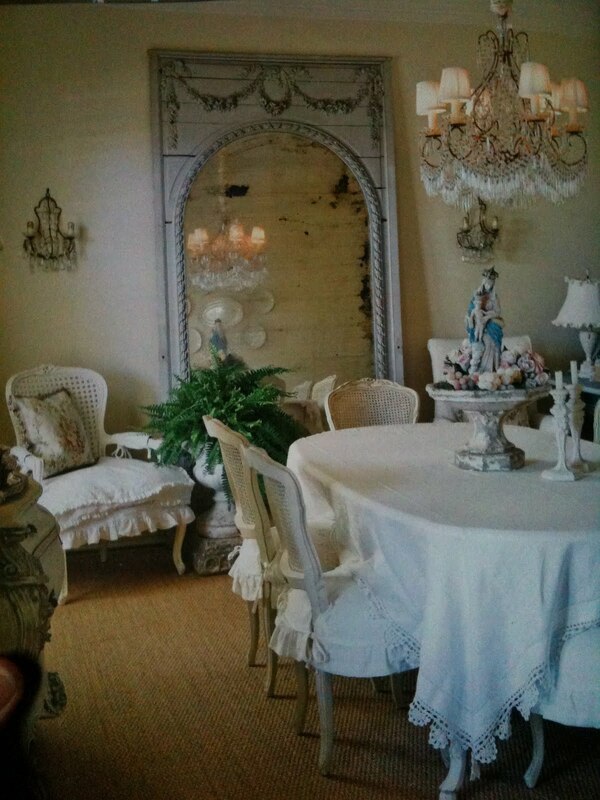 I have been wanting The French Inspired Room for awhile...Maybe I will shop for it today. I did get a couple of good books for Christmas, but this must have missed my list! I joined up for your party this week. Thanks always for hosting! 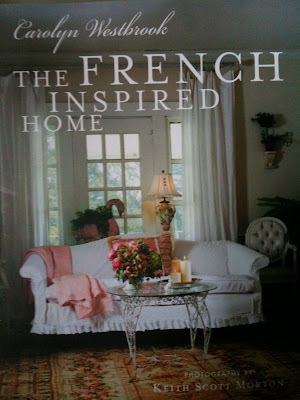 Hi Courtney - Looks like you've picked some pretty good French design books there which will keep you so inspired. That's one of my hobby is to go to Barnes and Noble, find a corner with a table and spread all my design books. It sends me to another world. Wow, this is going to be so much fun visiting all these links! I just added mine. Thank you! Very pretty design books, love the inspiration from them. Thanks for hosting Feathered Nest Friday, I'm off to take a look. Great book choices, I feel a trip to Amazon is in my future (who can resist those pretty photos?). Thanks for your visit! I'd love to follow you & your beautiful blog back. Look forward to getting to know you better. I have the first book saved in my cart over at Amazon Courtney! It looks divine. Thanx for hosting! The books look so amazing for sure! 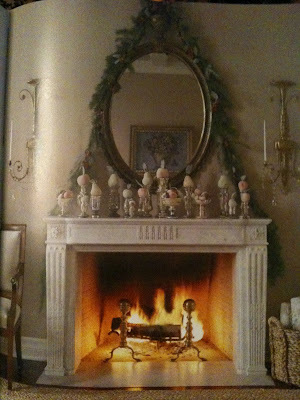 I just love the photo of the fireplace, that mantel is gorgeous! You will find lots and lots of inspirations and I can't wait to see what you do! Have a wonderful weekend! Great features today too!! 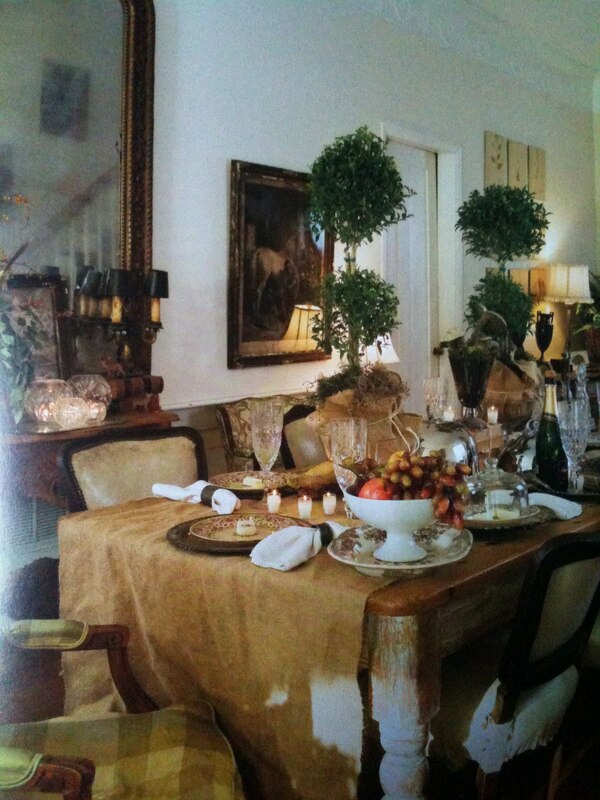 I just adore the French inspired photos! Truly inspirational! Hey is not our weather just beautiful right now?? It feels like spring time on my mountain top Love it..of course I know the snow will be here in no time ha ha!! You always provide beautiful inspiration. I admire your vision and focus, especially since I am generally "scattered", (perhaps I should say eclectic, but scattered sort of fits). Hi Courtney, I love design books and have quite a collection. I have several on order now. I have a couple of Carolyn Westbooks books but not this one. I'll add it to my wish list. Hi! I absolutely adore your blog it is so perfect! 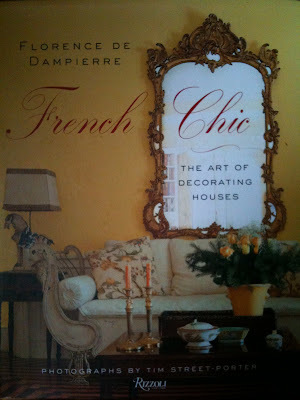 Also thank you so much for those nice comments about French Chic. I am glad you like it!